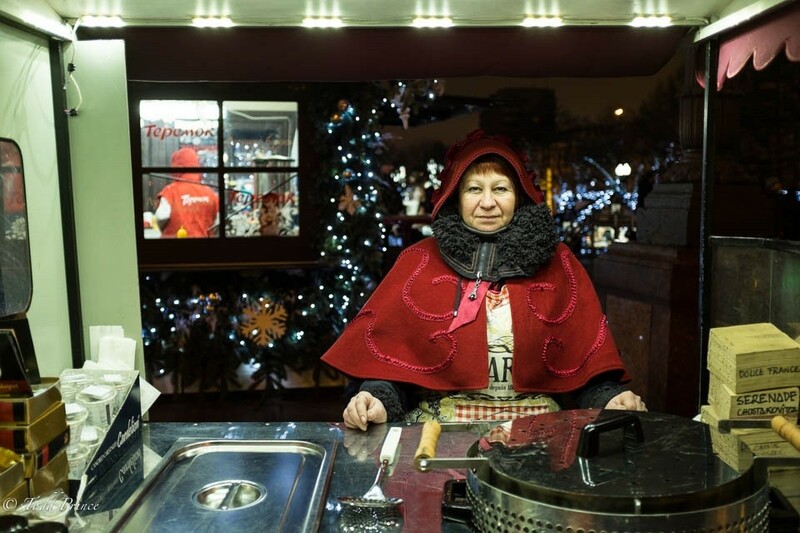 She was working a food stand at a Moscow Christmas market in central Moscow, turning occasionally a lever to create music and attract customers. In asked her if she was worried at all about the ruble. “Of course I am, we are all concerned because prices will go up. It probably worries us migrants more than Russians.” I didn’t realize she was a migrant, so I asked where she was from. ‘Eastern Ukraine, Kharkiv.’ She said she works in Russia a few months and then goes back home in accordance with visa rules, one of the 3 million or so Ukrainians that work in Russia. I asked if the currency instability impacted her mood. She said people have been through this before. “You have to keep living regardless of whether you are in a good mood or not.” At the end of the conversation, she told me she was from western Ukraine.